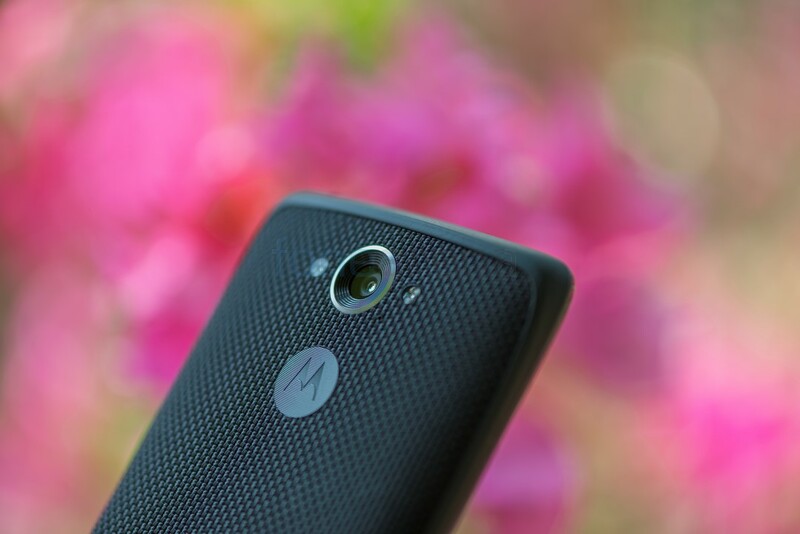 Motorola XT1585 for Verizon surfaced last month along with XT1578 and XT192A smartphones. This revealed a Quad HD display and Android 5.1.1. Later the reddit user revealed the codename of the smartphone as Kinzie and said that the smartphone will be powered by a Octa-Core Snapdragon 810 SoC. 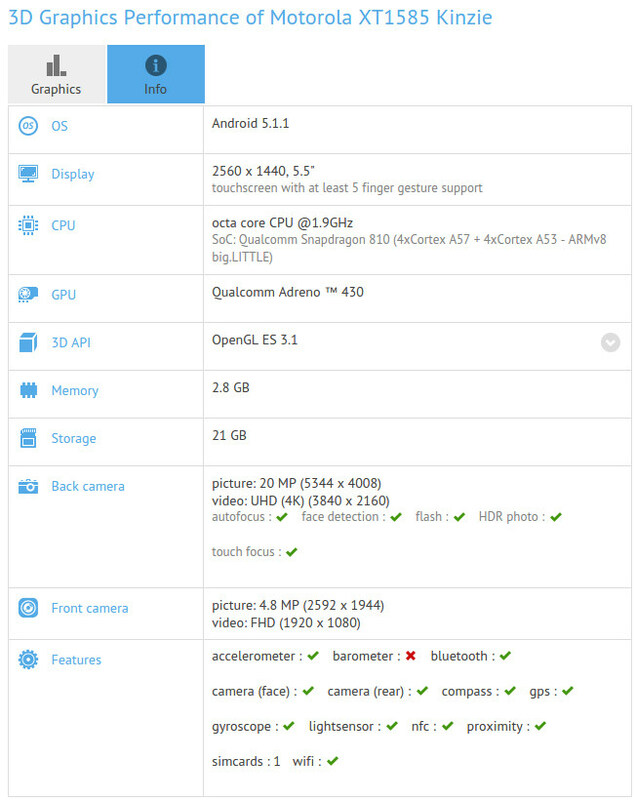 Now the smartphone has showed up in GFXBench (Via) listing that reveals its specifications. According to the listing, the DROID Kinzie XT1585 will come with a 5.5-inch (2560 x 1440 pixels) Quad HD screen, while it was rumored to feature a 4.6-inch screen. Check ou the complete set of rumored specifications. No details about the battery capacity of the smartphone yet. Motorola Droid Clark XT1578 with a Quad HD screen and a Snapdragon 808 processor is also rumored to launch exclusively for Verizon. These smartphones should go official soon.